Welcome to the Lewisboro Horsemen’s Association. Our organization was founded in 1990 by town resident Joan Zurell and a group of friends and neighbors dedicated to promoting the interests of horses and riders and preserving the equestrian heritage of the Town of Lewisboro and the surrounding northern Westchester area. Since then, we have developed over 25 miles of trails in Town which we continue to maintain. We also host events throughout the year, including our Fall Hunter Pace, Spring Poker Run, Holiday Party, and Summer BBQ, as well as health and safety training seminars and trail cleanup days. 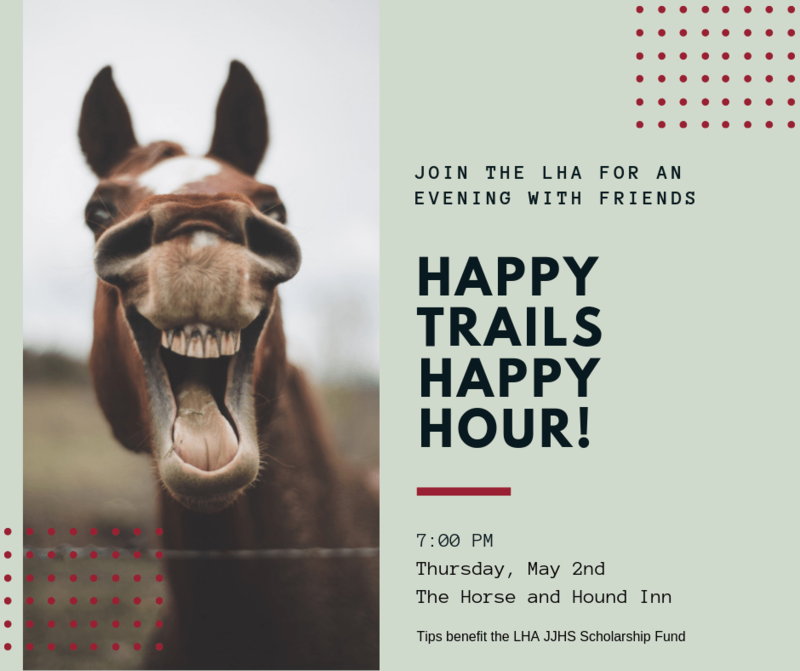 Please consider joining the LHA and becoming part of our horse community. Families and Junior Riders are welcome. If you love horses, but don’t ride, consider joining at the non-rider level.